About – Ortho Dynamics Inc.
Ortho Dynamics was established as an orthotic facility in 1997 and became incorporated in 2002. 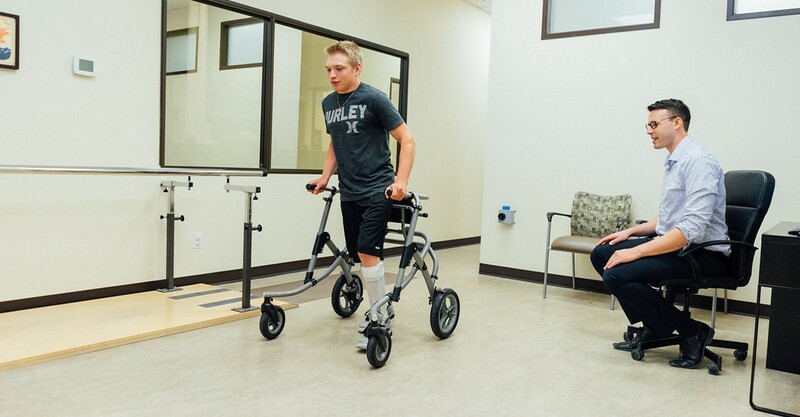 It has grown over the years into a comprehensive, state of the art facility equipped to handle some of the most complex orthopaedic cases requiring orthotic treatment in British Columbia. Today we are pleased to offer innovative and expanded services as we strive to deliver the best orthotic treatments available to our patients. For more information about the types of services we provide, please see Our Services page. We base the success of our patients on the invaluable interdisciplinary relationships that have been developed over time. The collaboration and trust between the prescribing physician, physiotherapist, occupational therapist, nursing staff, social workers and our certified orthotists optimizes the client’s lifestyle and rehabilitation potential. Networking within the allied health profession enhances the overall care given to the patient. Our mission is to maximize our patients’ ongoing functionality by delivering optimal and comprehensive orthotic services in a caring, timely and professional manner. To be recognized and respected as a leader in providing superior custom orthotic services.